Choosing 31-W Insulation for a fireplace for your home is a wise decision because you’ll receive excellent service every step of the way. Our company has earned an A+ rating with the Better Business Bureau by always exceeding our customers’ expectations, and we’ll do the same for your, making your fireplace project streamlined and hassle free. We have decades of experience assisting customers throughout the Humboldt area with improving their homes, so you can trust that you’re dealing with experts when you choose us. At 31-W Insulation, we offer a wide selection of fireplaces from some of the industry’s top manufacturers. You’ll have options available to you from Comfort Flame™, Astria Fireplaces®, IronStrike®, and Superior Fireplaces®, and among these brand names, there are many different types of fireplaces to choose. This means that even if you don’t have a chimney or don’t want a traditional wood-burning fireplace, you still have options. 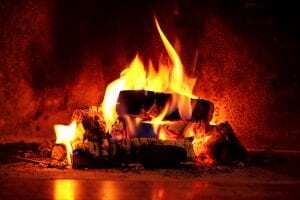 These other types include gas and electric, and they provide just as good of a fire and experience as a regular fireplace. Thanks to our large offering of fireplaces, you’ll have many different design options to choose from. During a design consultation with you, our team will review the many options we have available and help you choose what matches the style and décor of your living room. Once your fireplace is ready to be installed, a team of our own highly trained professionals will complete the installation. Throughout the installation, they’ll treat you and your home with the utmost courtesy and respect. To schedule a consultation at your Humboldt area home and begin learning about our fireplace options, contact 31-W Insulation today.